Dental implants can be used to replace missing teeth. We are lucky that dental implant technology has improved so much! Check out this infographic on the brief history of dental implant. Dental implants that integrate with the jawbone are pretty amazing. There is a whole lot of complex science that goes into the simple concept of screwing an implant into bone. 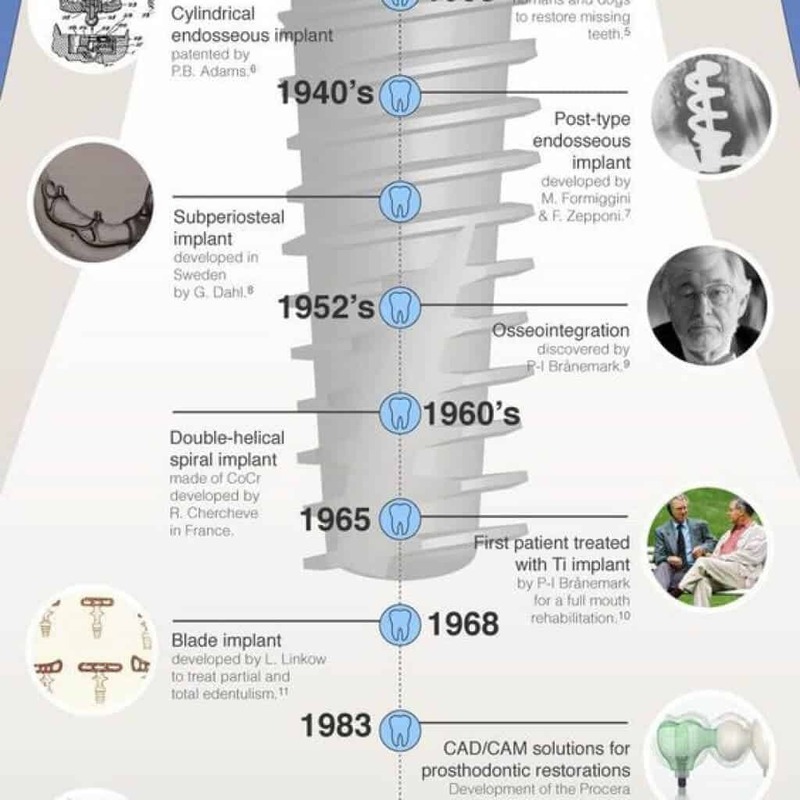 This infographic gives a brief overview of some of the history of implants! The most important breakthrough came when Branemark released a paper in 1977 establishing osseointegration. This meant he discovered a type of metal that human bone actually grows into! This allowed much more stability and the modern dental implant was born. He actually first placed a Titanium implant into a volunteer patient over ten years earlier, but needed longer to better research and gather evidence. Modern dental implants can be used to replace a single tooth, or a whole arch of teeth! Sometimes we can place a tooth onto an implant straight away. Other times we need to wait weeks or months! Technology is constantly improving but there is still a way to go. This is really nice because it well informative. I just want to say that this post is definitely helps people to get rid from dental problems. keep posting. Thanks.